The year of 2018 belonged to Stan Lee created characters and Marvel Studios, collecting billions of dollars worldwide. Male actors in Hollywood, who were seen portraying Marvel characters, dominated the year with their grand success. 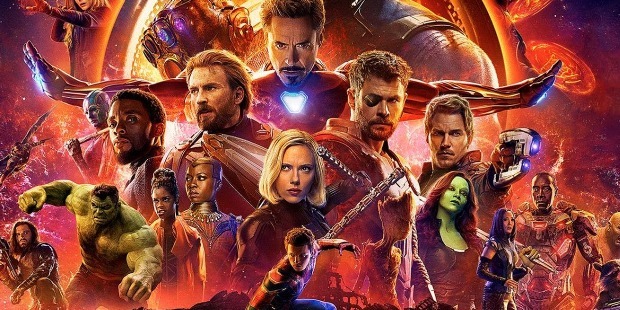 One film in particular – Avengers: Infinity Wars – dominated the year, recording humongous success across the globe. It is indeed ironical and simultaneously, the perfect tribute to the genius creator Stan Lee, who departed from this world at the age of 95 plus years on the 12th of November 2018. Stan Lee’s legacy will live forever. The genius has created an undisputable stock of various comic characters for filmmakers to exploit for many-many years to come by. The British actor Edward Thomas Hardy, popularly known as Tom Hardy in Hollywood has given stellar performance in many successful films, ever since he made debut with ‘Black Hawk Dawn’ in 2001. Ranking at No. 10 in the ‘Top 10’ list of 2018, his stellar performance in ‘Venom’ was flawless. ‘Venom’ was based on the Marvel source material. The film was connected to the Marvel Cinematic Universe as an "adjunct" film. Tom Hardy played the lead role of the title comic book hero Eddie Brock / Venom. He has created a niche for self with his power-packed performance in hit films like ‘Black Hawk Down’ (2001), ‘Star Trek: Nemesis’ (2002), ‘RocknRolla’ (2008), ‘Bronson’ (2008), ‘Warrior’ (2011), ‘Tinker Tailor Soldier Spy’ (2011), ‘Lawless’ (2012), ‘Locke’ (2013), ‘The Drop’ (2014), ‘The Revenant’, ‘Legend’ and ‘Mad Max: Fury Road’ (2015), ‘Inception’ (2010), ‘The Dark Knight Rises’ (2012) and ‘Dunkirk’ (2017). Tom Hardy was nominated for the Academy Awards in the ‘Best Supporting Actor’ category in 2015 for ‘The Revenant’. Born on the 15th of September 1977 in Hammersmith, London – Hardy started his career as a model. He is an actor-producer, who has exploited the film, television and the stage with equal ease. The British actor was appointed CBE – ‘Commander of the Order of the British Empire’ in the 2018 Birthday Honours for services to drama. On the small screen, Hardy was seen in ‘Band of Brothers’ (2001), ‘The Virgin Queen’ (2005), ‘Wuthering Heights’ (2008), ‘The Take’ (2009) and historical crime drama series ‘Peaky Blinders’ (2013 to 2017). In 2017, he created, co-produced and played the lead role in the eight-part historical fiction series ‘Taboo’. Tom Hardy comes from an Irish descent. Father Edward “Chips” Hardy was a novelist and comedy writer. Mother Anne was an artist-painter. Tom graduated from the Richmond Drama School and the Drama Centre London, a part of Central St. Martins. Tom was highly influenced by actor Gary Oldman. In 1999, Tom married Sarah Ward, a producer. The marriage lasted just five years. They were divorced by 2004. His affair with actress Linda Park also lasted for a couple of years. In 2005, Tom met assistant director Rachael Speed while filming ‘The Virgin Queen’. In 2008, Rachael gave birth to a son. By 2009, they were separated. He met actress Charlotte Riley during ‘Wuthering Heights’ in 2009. They dated for almost five long years, before tying the knot in July 2014. They were blessed with a son a year later. 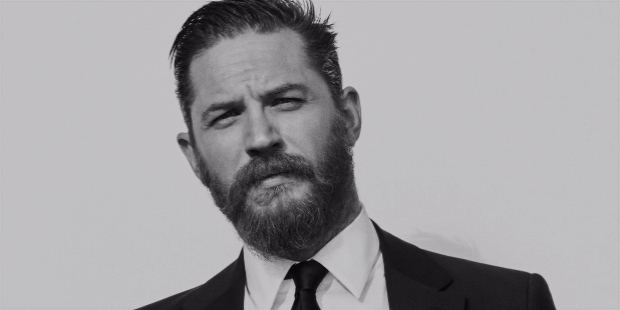 In the New Year, Tom Hardy will be seen in Josh Trank's Al Capone biopic ‘Fonzo’ and Iconic war photographer Don McCullin’s biopic ‘Unreasonable Behaviour’. The renowned WWF wrestler-turned-actor Dwayne Johnson is popularly known as ‘The Rock’. The multifaceted personality is very popular with his global fans as a semi-retired professional wrestler, actor and as a producer. Ranked at No. 9, Dwayne Johnson made his acting debut in ‘The Mummy Returns’ in 2001, followed by ‘The Scorpion King’ in 2002. This year, he was seen in ‘Rampage’ and ‘Skyscraper’. Dwayne Douglas Johnson was born on the 2nd of May 1972 in Hayward, California. He was a college football player for the University of Miami. Following his grandfather Peter Maivia and father Rocky Johnson, Dwayne entered professional wrestling post 1995. He graduated with a Bachelor of General Studies in Criminology and Physiology from Miami University in 1995. Dwayne Johnson is one of the highest paid and most successful actors in Hollywood, because of his popularity as a wrestler. In 1999, he made his small screen debut in an episode of ‘That '70s Show’ titled ‘That Wrestling Show’. He was also seen in ‘Star Trek: Voyager’ as an alien wrestler. Dwayne Johnson played stellar roles in films like ‘The Rundown’ (2003), ‘Walking Tall’ (2004), ‘Be Cool’ (2005), ‘Doom’ (2006), ‘Gridiron Gang’, ‘Reno 911! : Miami’, ‘Southland Tales’, ‘The Game Plan’ (2007), and ‘Get Smart (2008). Dwayne plays the prominent character Luke Hobbs in ‘The Fast and the Furious’ franchise. In the year 2016, Dwayne Johnson was the highest paid actor in Hollywood. Dwayne met his future wife Dany Garcia, while they were both graduating from Maimi University in 1992. Five years later, on the 3rd of May 1997, they tied the knot. On the 14th of August 2001, they were blessed with a daughter. Six years later, they separated amicably and continued to work together. Dwayne had met Lauren Hashian in 2006 during ‘The Game Plan’ shoot. After his separation with Dany, he started dating Lauren. Lauren and Dwayne are blessed with two daughters. 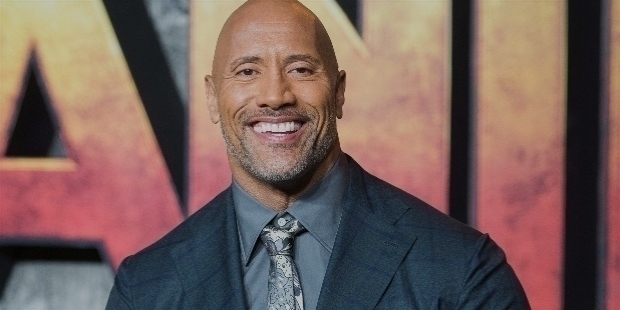 Dwayne Johnson will star as ‘The King’ and co-produce the film about King Kamehameha Kunuiakea – the founder and first ruler of the Kingdom of Hawaii. Robert Zemeckis will be directing the film in 2020. Paul Stephen Rudd, the multifaceted American actor, comedian, writer and producer has portrayed the Marvel character Ant-Man with great conviction in the film titled Ant-Man in 2015. The writer also co-wrote the screenplay of the film with Adam McKay. Ranked at No. 8 among the ‘To 10’ bracket, Paul has come a long way, ever since he made his debut on the small screen in the drama series ‘Sisters’ in 1992. In 1995, Paul Rudd entered the film industry with ‘Clueless’. He has played varied characters in films like ‘Romeo + Juliet’ (1996), ‘Wet Hot American Summer’ (2001), ‘Anchorman: The Legend of Ron Burgundy’ (2004), ‘The 40-Year-Old Virgin’ (2005), ‘Knocked Up’ (2007), ‘Role Models’ (2008), ‘I Love You, Man’ (2009), ‘This Is 40’, ‘The Perks of Being a Wallflower’ (2012), ‘Anchorman 2: The Legend Continues’ (2013), ‘Ant-Man’ (2015), ‘The Fundamentals of Caring’, ‘Captain America: Civil War’ (2016), ‘Mute’, ‘Ideal Home’, and ‘Ant-Man and the Wasp’ (2018). Paul was born in Passaic, New Jersey on the 6th of April 1969. Father Michael Rudd worked as a historical tour guide, who went on to become the former Vice-President of Trans World Airlines. Mother Gloria Irene worked as a Sales Manager at KCMO – TV in Kansas City. The family descended from the Jewish immigrants from Russia, Belarus and Poland, who moved to Britain. Paul’s parents were born in England. Paul graduated from the University of Kansas and the American Drama Academy, where he studied theatre. A charming talented individual, he has certainly made his place among the ‘Top 10’ actors in 26 long years’ career in Hollywood. In the year 2003, Paul married Julie Yaeger. The couple is blessed with a son and daughter. Paul Rudd will be seen in ‘Avengers: Endgame’ in the New Year. The ‘Toys “R” Us’ model turned actor has really come a long way to hold the No. 7 spot in the ‘Top 10 Successful Hollywood Heroes of 2018’. In the year 1999, Michael B Jordan made his acting debut in the television series ‘The Sopranos’ and ‘Cosby’. In the same year, he made his big screen debut in ‘Black and White’. This year, he portrayed the villainous character Erik Killmonger in Marvel's hit movie ‘Black Panther’. He was also seen in ‘Fahrenheit 451’ and ‘Creed – II’. He was seen in ‘Hardball’ (2001), ‘Fruitvale Station’ (2013), ‘Fantastic Four’ and ‘Creed’ (2015). He arrived in the big league with his superb performance as Adonis Creed in ‘Creed’. Michael Bakari Jordan was born on the 9th of February 1987 in Santa Ana, California. Mother Donna Davis Jordan is an artist and works as a High School Guidance Counselor. Father Michael A Jordan’s background is less known. His elder sister works in production and younger brother played football at Howard University. The humble actor still lives with his family. Little Michael’s family moved to Newark, New Jersey. He graduated from Newark Arts High School. His mother worked in the school. The family shifted to Los Angeles in 2006. In 2019, Michael B Jordan will be seen as Bryan Stevenson in the biopic titled ‘Just Mercy’. He will also be seen in ‘Wrong Answer’. There are many movies in the pipeline. The Canadian actor started his acting career way back in 1991 in teen soap opera ‘Fifteen’. Nearing almost three decades in films, the multifaceted actor, producer, screenwriter Ryan Reynolds rose to fame with ‘Deadpool’ in 2016, which he also produced. The super success of the Marvel character has brought him among the ‘Top 10 Successful Hollywood Heroes of 2018’. He is ranked at an impressive No. 6. In the year 1993, Ryan Reynolds made his big screen debut with ‘Ordinary Magic’. Spanning 27 years in Hollywood, some of his prominent movies are ‘National Lampoon’s Van Wilder’ (2002), ‘The Amityville Horror’ (2005), ‘Smokin’ Aces’ (2006), ‘X-Men Origins: Wolverine’, ‘The Proposal’, ‘Paper Man’ (2009), ‘Green Lantern’ (2011) and many others. Ryan Rodney Reynolds was born on the 3rd of October 1976 in Vancouver, British Columbia. Father James Chester "Jim" Reynolds was a food wholesaler. Mother Tammy worked as a retail saleswoman. He comes from an Irish ancestry. He is the youngest among four brothers. Ryan graduated from Kitsilano Secondary School. He dropped out from Kwantlen Polytechnic University. ‘Deadpool’ broke several box-office records with a worldwide opening of $264.9 million. In 2017, Ryan produced and wrote the sequel ‘Deadpool 2’. Fox Studios signed a three-year deal with Ryan Reynolds for a live-action adaptation of the board game Clue in January 2018. In February 2018, Reynolds acquired a stake in Aviation American Gin. In 2002, Ryan dated Canadian-American singer Alanis Morissette. The affair lasted for five long years, before they parted ways in February 2007. They were even engaged in 2004. Ryan started dating Scarlett Johansson in 2007. They got engaged in May 2008 and got married on the 27th of September 2008. The marriage lasted for two years. They got separated on the 14th of December 2010. Third time lucky Ryan Reynolds started dating his ‘Green Lantern’ co-star Blake Lively by October 2011. The couple got married on the 9th of September 2012. They are blessed with two daughters. In the New Year, Ryan Reynolds will be heard in ‘Pokeman: Detective Pichaku’ and ‘Six Underground’. Ranked at No. 5, Chadwick Boseman ruled worldwide as the Black Panther. This is perhaps the perfect introduction to the talented actor, director and producer. He really worked hard to achieve his life’s goal from his High School days. Unlike other actors, Chadwick wanted to write and direct. He studied acting initially, so as to be able to relate to actors. He graduated from New York City's Digital Film Academy. He worked as a Drama Instructor in the Schomburg Junior Scholars Program. It was housed at the Schomburg Center for Research in Black Culture in Harlem, New York. He made his small screen debut in ‘Third Watch’ in 2003. He acted in television series ‘ER’, ‘Law & Order’ and ‘CSI: NY’. Simultaneously, Chadwick continued writing plays. His script for Deep Azure performed at the Congo Square Theatre Company in Chicago was nominated for a 2006 Joseph Jefferson Award. 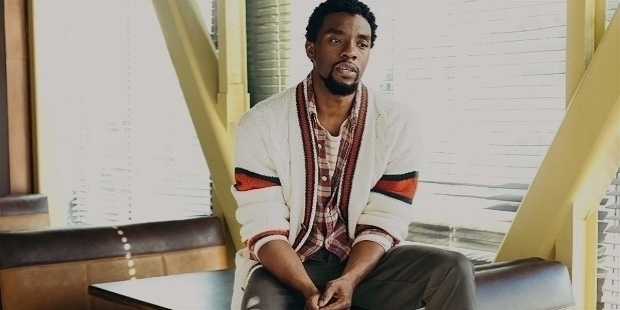 In 2008, Chadwick Boseman moved to Los Angeles to pursue career in acting. He made his debut with ‘The Express’ in 2008. In just a decade, Boseman has become a worldwide sensation as the Black Panther. In the year 2013, he got his first break as a lead in the film titled ‘42’. He portrayed the baseball pioneer star Jackie Robinson. His prominent films are ‘Captain America: Civil War’, ‘Message from the King’ (2016) and ‘Avengers: Infinity War’ (2018). Chadwick Aaron Boseman was born in Anderson, South Carolina on the 29th of November 1976. Mother Carolyn Boseman worked as a nurse. Father Leroy Boseman worked at a textile factory and held an upholstery business. In 1995, Chadwick graduated from T. L. Hanna High School. Five years later, he graduated with a Bachelor of Fine Arts in Directing from Harvard University. Phylicia Rashad, one of Chadwick’s teachers was his mentor. In the New Year, Chadwick Boseman will be seen in action as Black Panther in ‘Avengers: Endgame’ and ’17 Bridges’. He has been nominated thrice for Laurence Olivier Award. He won the ‘Best Actor’ award for the Play ‘Frankenstein’. Having received 6 Primetime Emmy Award nominations, Benedict Cumberbatch went onto win the ‘Outstanding Lead Actor’ for ‘Sherlock’. He was nominated for the Academy Award for his magnificent performance in ‘The Imitation Game’. Benedict Cumberbatch is ranked at No. 4 among the top performers this year. 7 BAFTA nominations, 5 Screen Actors Guild Award nominations and 2 Golden Globe Award nominations speak very high of Cumberbatch’s acting career. He is one of the highest paid actors in Hollywood. In 2002, he made his small screen debut with ‘Tipping the Velvet’. In the same year, he made his big screen in a short film titled ‘Hills like White Elephants’. Cumberbatch has portrayed some of the most interesting characters in his 16 year long acting career. In 2004, he played the role of Stephen Hawking in tele-film ‘Hawking’. Ever since 2010, he has solved criminal mysteries as Sherlock Holmes in the television series ‘Sherlock’. Benedict Timothy Carlton Cumberbatch was born in Hammersmith, London on the 19th of July 1976. Acting is in his genes. Father Timothy Cumberbatch and mother Wanda Ventham were both actors. His early years were spent in the Royal Borough of Kensington and Chelsea. He studied at Brambletye School, West Sussex as a boarder. Later, he became an arts scholar at Harrow School. He is highly educated as an actor. He graduated from the Victoria University of Manchester. Benedict got his Masters in Classical Acting from the London Academy of Music and Dramatic Art. Interestingly, Cumberbatch volunteered for a year as an English teacher at a Tibetan Monastery in Darjeeling in India. In 2016, he played the lead role of ‘Doctor Strange’. This year, Cumberbatch was seen in ‘Avengers: Infinity War’ and gave voice to Sher Khan in ‘Mowgli: Legend of the Jungle’ and was the voice of ‘The Grinch’. In 2013, along with his friends, he launched a Production Company – SunnyMarch Ltd.
Benedict Cumberbatch and Sophie Hunter, an English theatre and opera director, married on the Valentine’s Day of 2015 after 17 long years of friendship. They are blessed with two sons. In 2015, Benedict Cumberbatch was appointed with a CBE – Commander of the Order of the British Empire by Queen Elizabeth II for his services to the performing arts and to charity. In 2019, he will be seen in ‘Avengers: Endgame’ and ‘Ironback’. He will also be seen in an important role in a tele-film ‘Brexit’. The No. 3 successful Hollywood Hero of 2018 was seen in ‘Avengers: Infinity War’, ‘Deadpool 2’, ‘The Legacy of a Whitetail Deer Hunter’ and ‘Sicario: Day of the Soldado’. Portraying villainous characters of Thanos in the Marvel Cinematic Universe, he has become the leading antagonist in ‘Avengers: Infinity War’. Josh James Brolin has certainly come a long way to reach the spot. 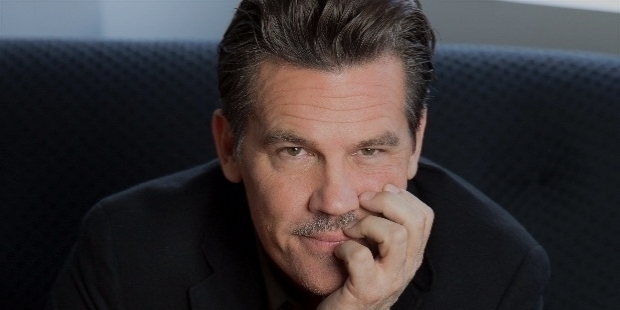 Josh James Brolin was born in Santa Monica, California on the 12th of February 1968. Father James Brolin was an actor. Mother Jane Cameron worked as a wildlife activist in Texas. He grew up on a Templeton ranch in California. At the age of 16, his parents got separated. Josh Brolin made his acting debut with ‘The Goonies’ in 1985. A year later, he made his small screen debut with ‘Highway to Heaven’. In the year 2009, he was nominated for the Academy Award in the ‘Best Supporting Actor’ category for ‘Milk’. He won the Screen Actors Guild Award for the same role. Josh has also written and directed a short film titled ‘X’. In 1988, Josh married actress Alice Adair. They were blessed with two children. However, six years later, they were divorced. He then got engaged to actress Minnie Driver. The love lasted just six months. He remarried Diane Lane on the 15th of August 2004. The marriage lasted nine years before they got divorced in 2013. Two years later, Josh was engaged once again with model Kathryn Boyd. On the 24th of September 2016, they got married. They were blessed with a daughter on the 29th of May 2018. Josh Brolin will be seen in ‘Avengers: Endgame’ in the New Year. His real life resembles a super hit movie script. During his struggling teenage years, by chance he was discovered by actress–director Rae Dawn Chong. He was waiting tables at the Bubba Gump Shrimp Company restaurant in Maui. In 2000, he made his debut in Chong’s directorial debut ‘Cursed Part 3’ – a short horror film. To be ranked at the No. 2 spot in 2018 among the ‘Top 10 Successful Hollywood Heroes’, speaks very high of this amazing successful actor. In 2001, he made his small screen debut with ‘The Huntress’. Some of his prominent works are ‘Everwood’ (2002 – 2006), ‘Wanted’ (2008), ‘Jennifer’s Body’ (2009), ‘Moneyball’ (2011), ‘The Five-Year Engagement’ (2012), ‘Zero Dark Thirty’ (2013), ‘Delivery Man’ (2013) and ‘Her’ (2013). Christopher Michael Pratt was born on the 21st of June 1979 in Virginia, Minnesota. Father Daniel Clifton Pratt worked in a mine and remodeling houses. Mother Kathleen Louise worked at a Safeway Supermarket. He was the youngest child of the family. At the age of three, Chris’s family moved to Lake Stevens, Washington. In 1997, he graduated from Lake Stevens High School. It is interesting to note that Chris Pratt got his first leading role in 2014. In 2015, he starred in ‘Jurassic World: Fallen Kingdom’. In 2016, he was seen in ‘The Magnificent Seven’ and ‘Passengers’. 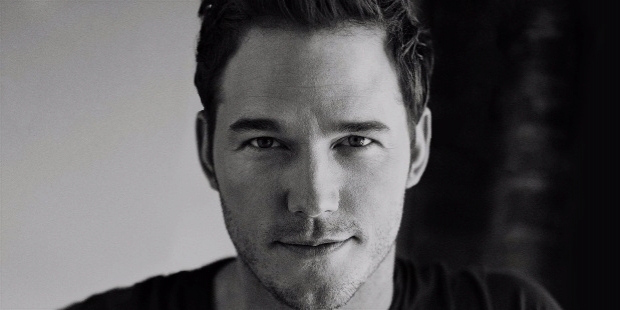 In 2017, he portrayed the role of Star-Lord in the Marvel Cinematic Universe ‘Guardians of the Galaxy Vol. 2’, followed by ‘Avengers: Infinity War’ in 2018. Chriss Pratt met actress Anna Faris while filming ‘Take Me Home Tonight’ in 2007. They played lovers in the film. A year later, the two were engaged. On the 9th of July 2009, they got married in Bali, Indonesia. The marriage did not last long. They filed for divorce in 2017 and this October it was finalized. Pratt is currently in a relationship with author Katherine Schwarzenegger. In the New Year, Chris Pratt will be seen in ‘Avengers: Endgame’, ‘The Lego Movie: 2’, ‘The Kid’ and in 2020, he will be seen in the action film ‘Cowboy Ninja Viking’ with Priyanka Chopra. 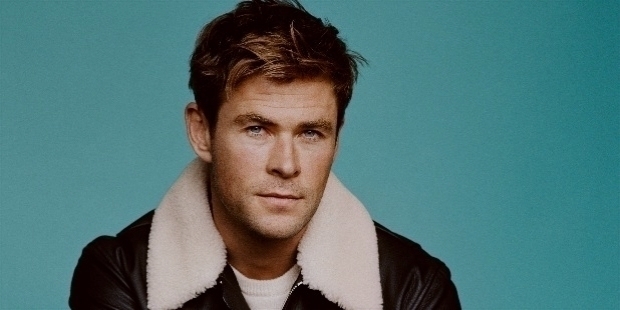 Australian actor Christopher Hemsworth is more famous as THOR than his real name. He has entertained the global audience ever since he became Thor in 2011. In 2018, Hemsworth was seen in ‘Avengers: Infinity War’, ‘Bad Time at El Royale’ and ’12 Strong’. Reigning as the Numero Uno as the most successful Hollywood actor of 2018, the Australian has stamped his authority as THOR has. He made his small screen debut with ‘Guinevere Jones’ in 2002. In the year 2009, he got his first break in ‘Star Trek’. In nine years, Chris Hemsworth has come a long way to succeed over other compatriots. Some of his prominent works are ‘A Perfect Getaway’ (2009), ‘The Cabin in the Woods’, ‘Snow White and the Huntsman’, ‘Red Dawn’ (2012) and ‘Rush’ (2013). As THOR in the Marvel Cinematic Universe, Chris has become an important part since the year 2011. He was seen in ‘The Avengers’ (2012), ‘Thor: The Dark World’ (2013), ‘Avengers: Age of Ultron’ (2015), ‘Doctor Strange’ (2016), ‘Thor: Ragnarok’ (2017) and ‘Avengers: Infinity War’ (2018). In the New Year, Hemsworth will be seen in ‘Avengers: Endgame’, ‘Dhaka’ and ‘Men in Black International’. Christopher Hemsworth was born on the 11th of August 1983 in Melbourne. Father Craig Hemsworth works as a Social Services Counsellor. Mother Leonie works as an English Teacher. His elder and younger brothers are also actors. Christopher graduated High School from Heathmonth College. In early 2010, Chris met Spanish actress Elsa Pataky. The lovers tied the knot in December 2010. They are blessed with twin sons and a daughter. In 2015, the Hemsworth family moved back to Byron Bay in Australia from Los Angeles.